GJ.24, 15c. 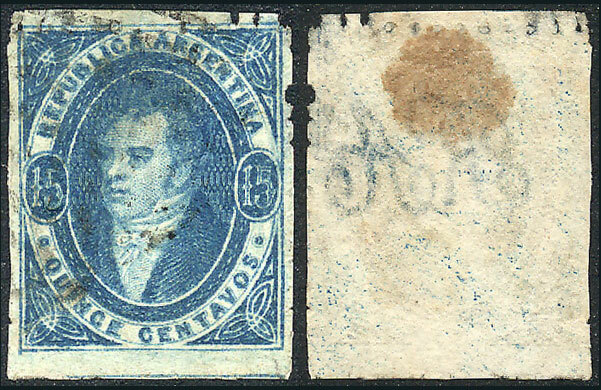 dull impression, light blue, used, with toning of paper on reverse, excellent front! Catalog value US$60. Lot 44 - Argentina rivadavias - Guillermo Jalil - Philatino Auction # 1916 ARGENTINA: "Budget" auction with many good lots at VERY LOW STARTS!